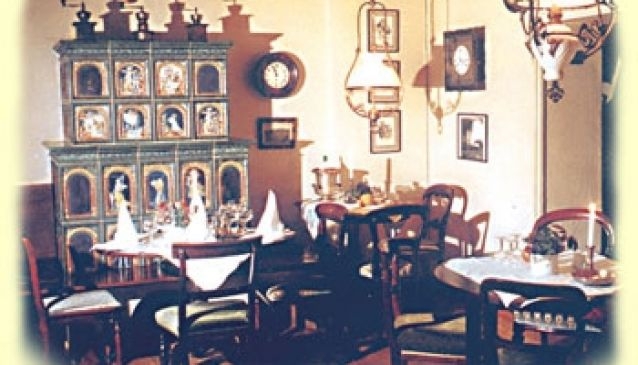 Schweighofer's Weinstube Heuriger offers its diners a number of well known dishes and a well stocked wine cellar. With a focus on organic and sustainable produce, the restaurant's cured meats are purchased directly from the farmers and are smoked without using salt, whereas its pumpkinseed oil and sheep's cheeses come from small farms, where there is no intensive land-use farming. Operated by a husband and wife team, the restaurant prides itself on the quality of its dishes, which whilst not always served quickly, are always well prepared and well presented. Old furniture and other assorted knick-knacks add to the charm which seems authentically Austrian rather than contrived.